Repealing the Affordable Care Act (ACA), known as “ObamaCare,” after it has been in effect for 7 years is rather like trying to uproot kudzu. It is deeply entwined in American medicine, and despite soaring premiums and deductibles combined with difficulties accessing actual medical care, many believe they are dependent on it. One needs to avoid collateral damage. ObamaCare is also integrated into the structure of the “healthcare delivery system,” which is built on an unsound foundation: the forcible redistribution of wealth and the concept of “comprehensive coverage” as the most favored way to pay for medical care. This structure will inevitably collapse. The first priority is to save the people who are trapped in it. Medical institutions built on liberty and sound financing will arise if allowed to do so. They cannot be built by congressional or bureaucratic diktat. America must not waste this opportunity for genuine reform, instead trying to replace one tottering structure with another centrally planned disaster that resembles it. The ObamaCare structure must be allowed to wither and die as a result of administrative actions that deprive it of its nourishment: mandates and coercive redistribution. The same actions will relieve the chokehold that government has on innovation and financing mechanisms, and allow excellence to flourish. The problem with ObamaCare—the ironically named Affordable Care Act (ACA)—is with the foundation. Like a building on an unsound foundation, it cannot be fixed by “tweaking” or patching up the cracks. ACA has so many complex, interdependent parts that attempts to alter parts of it will upset the balance with unpredictable, likely disastrous effects. Worse, ObamaCare is inextricably tied to the rest of the American “healthcare delivery system.” Besides the radical changes in health insurance and medical institutions, ObamaCare makes many changes in Medicare and Medicaid and heavily depends on them. About half of the “healthcare dollar” passes through these federal programs, and 90 percent passes through some third-party. As with the Leaning Tower of Pisa, there is a legacy to be preserved: the legacy of Barack Obama, but also of Franklin Roosevelt, Lyndon Johnson, Richard Nixon—and Marx and Lenin. However much expense and ingenuity is lavished on shoring up the edifice, gravity always wins eventually. 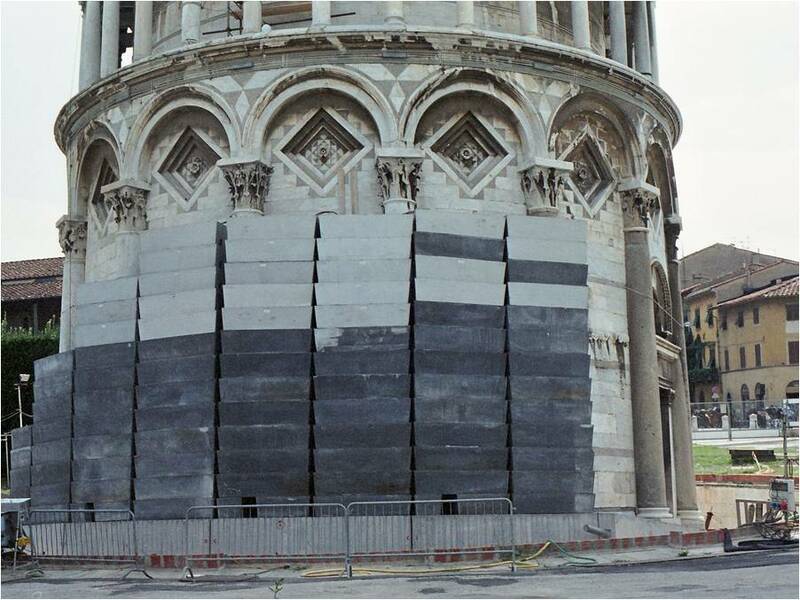 One can keep piling on lead counterweights, but the masonry will someday crumble because of the abnormal stresses. When it does, building inhabitants and bystanders are in grave peril. The laws of economics are just as inexorable. At the root of ObamaCare is a requirement that people buy a product—health insurance—that they do not want, or at least do not want on the terms being forced upon them by government. This in turn is based on the fallacy that the way to an equitable state of “universal healthcare” is through comprehensive third-party payment. When that fundamental economic fallacy is uprooted and people are allowed to spend money in more efficient ways, then the inherent waste in the current system would be avoided, to the benefit of the entire economy. The “status quo” now is ObamaCare, and its supporters will do everything they can to perpetuate it. Outgoing President Obama himself has reportedly been meeting with leaders of the Democratic Party to develop strategies for preserving ObamaCare. Congressional Republicans may also be unnecessarily reluctant to repeal the massive legislation, now that it has been in effect for many years with millions who believe they are dependent on it. If the incoming President Donald Trump waits for Congress to act on ObamaCare, then it appears likely that nothing—or nothing good—will be achieved in the foreseeable future. Worse, the Republican-controlled Congress could increasingly blame the Republican President Trump for inaction, and vice-versa. Democrats might then win big in the midterm elections, retaking control of the House or Senate, and ObamaCare could subsequently be perpetuated by the incoming Democrats in Congress. The better strategy, accordingly, is to adopt approaches that can be taken unilaterally by the Trump Administration, without requiring congressional approval. If Congress wants to concur or expand on action taken by the Administration, then that would be welcome. But if Congress instead wants to delay until after the midterm elections, ObamaCare could and should be deconstructed without waiting for congressional action that may never happen, or that might only perpetuate the worst flaws, with a Republican imprimatur. ObamaCare as constructed is inherently unstable and would have inflicted intolerable pain on many already, including the special interest groups that got it passed, had Obama not made dozens of unilateral changes. These included exemptions for some employers and the illegal spending of money that Congress did not appropriate to shore up insurers. Many provisions, including tax increases and a harsher individual mandate, are timed to go into effect after Obama leaves office. Their ill effects, and the effects of congressional alterations, can conveniently be blamed on Republicans. ObamaCare can only be enforced, if at all, by the incoming Trump Administration. Executive agencies controlled by the President have enormous discretionary authority. The linchpin of ObamaCare is the individual mandate, which compels people to buy health insurance under threat of penalty by the IRS, which is part of the executive branch. The definition of acceptable coverage is determined by the Department of Health and Human Services (HHS), which did not, for example, have to mandate contraceptive coverage. Actions that could be taken by the Trump Administration include adopting a policy of non-enforcement of any penalties for not purchasing health insurance, refusing to bail out insurers, and abiding by the district court decision in U.S. House of Representatives v. Burwell, which declared the taxpayer subsidies on the health insurance exchanges to be illegal. Supporters of ObamaCare are already attempting to intervene in the U.S. House of Representatives v. Burwell case, but the judiciary is no more than a co-equal branch of government. Incoming President Trump was elected to dismantle ObamaCare, and he should make clear that the judiciary lacks “the power of the purse” and the enforcement authority that are properly conferred only on the other two branches of government. There is not as much time as may first appear to dismantle such complex and far-reaching legislation as ObamaCare. Early voting for the midterm elections begins in a mere 21 months, with campaigning beginning far earlier than that, and there are issues like nominations to the Cabinet and Supreme Court, and foreign policy, which will compete for politicians’ time between now and then. If the Trump Administration waits on a decision by the D.C. Circuit in U.S. House of Representatives v. Burwell, and then review by the U.S. Supreme Court after that, no time will be left for Congress to act before the midterm elections, and the opportunity for reform may then be lost forever. Accordingly, reform that can be implemented administratively has inherent advantages over legislative options. Fortunately, Obamacare can and should be repealed in practice through administrative actions, without awaiting approval by Congress or the judiciary. The same executive actions that allow ObamaCare to self-destruct would at the same time make it possible for the free market to develop better, actually affordable options. Prosperity depends on free enterprise, which absolutely requires protection of private property and freedom to spend one’s resources as one chooses. Centralized government planning, which is what ObamaCare essentially imposes, creates enormous inefficiencies and hinders prosperity under the guise of reducing inequalities. The seductive goal of egalitarianism is not new, but has been around for centuries. It is based on the fundamental axiom of socialism: from each according to his means, and to each according to his need. The economic principles and the morality of socialism were decisively, irrefutably debunked by Frédéric Bastiat in the early 19th century in The Law and Economic Sophisms. Attempts to implement them in practice, outside of monastic communities, have had a failure rate of 100 percent. Early American settlers at Jamestown and Plymouth were dying of starvation and disease until they privatized property. Every single utopian community in America failed. Attempts to implement socialism worldwide, with or without retention of nominal “private” ownership of the means of production (national socialism or fascism vs. communism) have always resulted in misery and violence, and caused at least 100 million deaths. The social welfare states in Western Europe or Canada are often touted as shining counterexamples, but it must be remembered that these are “mixed economies,” whose prosperity comes from free enterprise. Moreover, the final outcome is not yet known. These nations, like the U.S., are consuming their capital from the past and mortgaging their future, accumulating huge, unpayable debts. So proposals to “modern” our system are really attempts to tweak a very old, consistently disastrous, idea. We must remember that whatever the government “gives,” it first takes—from the “forgotten man.” The taking may be outright and visible through taxation, confiscation, and monetary penalties, or hidden through debasement of the currency (“inflation”), capital controls, suppressing market interest rates, or regulations preventing productive activity. Once a building is occupied—or once people have become dependent on a bankrupt system—one cannot simply demolish it without causing enormous immediate harm. So the first priority is to let the people out. 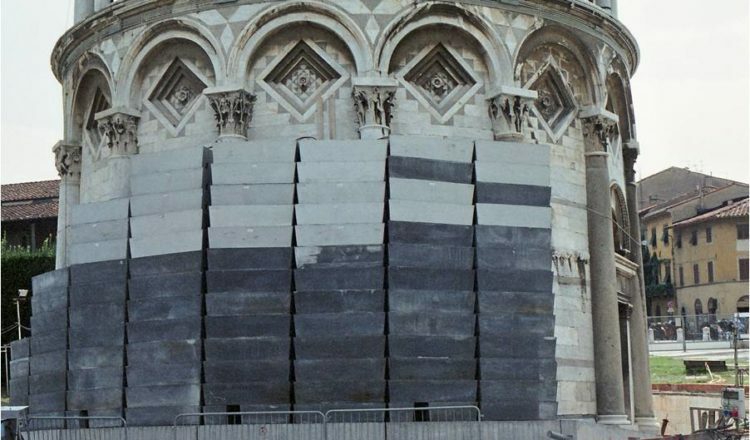 Some suggest that a new Tower has to be complete before the doomed one is demolished, and even propose the equivalent of piling up more lead bricks. But the evacuation needs to start immediately. As noted above, the Trump Administration can and should do that under its existing statutory and constitutional authority. The rotting structure comprises Medicare and Medicaid as well as ObamaCare. All are based on the concept of legal plunder, or forcible redistribution of wealth from those who own it to those to whom it does not belong. None of them are insurance products. Their acceptance depends on deceit. Social Security recipients (Medicare is Title 18 of Social Security) were told and believe that they funded their own retirement, including medical insurance. In fact, the Supreme Court held, early in the New Deal, that Social Security is constitutional only as a tax, not a pension plan. The rationale reminds one of the Court’s upholding ACA. Benefits are an entitlement—a privilege—dependent on Congress. There is NO contractual right to anything, no matter how much a “beneficiary” paid in. Workers’ “contributions” are immediately spent on benefits to persons already retired, and any surplus is spent on other things, thereby reducing the apparent size of the federal deficit. “We owe it to ourselves” means we promised it to our descendants, some yet unborn. The financing system was unsustainable from the start, being dependent on continuous population growth or unlimited economic growth. The U.S. population is not replacing itself, a substantial part of the working-age population is claiming disability or simply not working, people are living much longer, and economic growth is stagnant at best. Most Ponzi schemes are stopped at the stage where benefits are paid by new “investors,” rather than by investment income, and the perpetrators imprisoned. Social Security and Medicare are past that stage, being dependent on deficit financing, as outgo has already exceeded revenue for several years. Medicare, Medicaid, and ObamaCare are all “pay as you go.” They do not have insurance reserves. Increasingly, they are managed-care programs, not insurance at all. Premiums are not risk-based, and benefits are determined by the discretion of the managers, not an indemnity table agreed to by contract. The payment and delivery systems are commingled. The system benefits by restricting service. With the passage of MACRA (the Medicare Access and CHIP Reauthorization Act), our single payer system for seniors—Medicare—is being turned into the equivalent of a giant, capitation-based HMO. Physicians are gatekeepers who profit by rationing care and are punished for providing too much. The Medicare and Medicaid programs are supposed to be “safety net” programs. Of course, one can’t go anywhere when enmeshed in a safety net, and the safety-net programs are serving as a poverty trap. People who want to be out of the supposedly voluntary Medicare program can simply be released immediately. Such action could be taken by the Trump Administration or Congress, or both. The Centers for Medicare and Medicaid Services (CMS), a division of the Department of Health & Human Services (HHS), should issue new regulations permitting patients and physicians alike to opt out of Medicare and Medicaid on a per-service basis, just as participants in other entitlement programs can. By analogy, in many states families are allowed to participate in public school activities and sports without enrolling as public school students, and that system works well without imposing a “take it or leave it” basis. Additionally, CMS could issue a new regulation directing carriers to reimburse Medicare beneficiaries (patients, not “providers”) who receive services from a nonenrolled or disenrolled physician and submit their own claim with an itemized bill, without imposing any claims submission requirement on the physician. This would inject a much-needed dose of free enterprise into the system, reduce costs by eliminating bureaucratic paperwork, and cause Medicare patients to become more cost-conscious as they would be paying directly for the costs of the services. Many patients would choose not to submit claims. The economic savings would be immense and grow over time. Yet patients who have become dependent on Medicare would not be deprived of benefits simply because they choose a physician not in the system. Repeal the rule that people can’t leave Part A without losing their Social Security benefits. Repeal the requirement that enrolled “providers” file claims for all covered services rendered to Part B beneficiaries. Expand the current “opt out” provision to allow physicians to work outside the system on a patient-by-patient basis without an all-or-none opt-out. Institute a patient-value-based system by repealing the Byzantine Medicare price control system, the Resource-Based Relative Value Scale, which is based on the Marxist Labor Theory of Value, for nonparticipating physicians. Exempt nonparticipating physicians from MACRA. Medicare can determine reimbursement based on its concept of value to the system, and patients in cooperation with their physician determine the fee based on their values, without the costly, privacy-destroying MACRA reporting systems. People who like their Medicare could keep their Medicare and stick with Medicare “participating” physicians (more than 90 percent of all physicians at this time). They would be better off if the system is unburdened by people leaving it. But people are going to like their Medicare less and less, thanks to Obama’s cuts, the increase in Part B premiums, and MACRA, which turns doctors into rationing and government surveillance agents. States set Medicaid requirements. The ACA Medicaid expansion increased enrollment much more than anticipated, but 60 percent of the new enrollees were previously eligible—the “woodwork” effect, attributable at least in part to the individual mandate. Medicaid is estimated to deliver 20-40 cents worth of medical value per dollar spent. Many do not consider it worth the bother of signing up, or the loss of access to physicians who are unwilling to participate. Those who don’t like their Medicaid would not have to keep it, and each state could decide whether to continue to accept all who do like it. Block grants to the states would make it possible for states to allocate funds more efficiently, without counterproductive federal requirements. Those who like their ObamaCare plan could keep it, if still available, but the government could no longer require young, healthy persons to pay premiums many-fold higher than actuarially fair, nor could it illegally take money from current and future taxpayers to subsidize unaffordable plans. Because of high premiums and narrow networks, more people would choose to leave ObamaCare if they were not financially punished for doing so. People leaving their current unsatisfactory arrangements are potential customers for new products—if the government doesn’t block them—including affordable catastrophic policies for unpredictable contingencies (true insurance). Many assume that we need one big, centrally planned federal replacement plan for everyone, which will allow all to “keep” their ObamaCare benefits. The “winners” might choose to do so. The “losers” (far larger in number) likely would not. Remember that many Exchange enrollees have lost plans repeatedly already. In a free market, many different structures are built, without governments, think tanks, or advocacy groups dictating the plans. Innovation of course cannot be predicted or forced to happen. The government’s job is to make and enforce fair, reasonable, predictable rules that foster innovation and competition. “There is no return to the status quo ante,” say opponents of immediate ObamaCare repeal. But maybe that situation was not so great either. It is true that many insurance plans that people liked were wiped out by ACA requirements. It’s déjà vu for Lyndon Johnson’s canceling seniors’ private insurance plans, to assure that “his” Medicare program would succeed. The market for insurance for persons over 65 (and needed actuarial information) has been gone for 50 years—but reviving a market for younger people should be much less difficult. Honest pricing. All facilities should be encouraged to post their prices—it should be clear that there are NO antitrust constraints for doing this. Facilities and managed-care plans that want to keep their pricing and reimbursements secret would face a massive exodus of patients who prefer to know their costs. Honesty in reimbursement. Patients should demand access to information about what insurers reimburse for specific procedures before buying the policy and before undergoing elective procedures. Government agencies should not contract with insurers who refuse to provide this information accurately. Tax fairness. Individually owned policies should receive the same tax treatment as employer-owned policies—including exclusion from payroll tax, the biggest or only tax low-income workers pay. Out-of-pocket payments should receive the same treatment as insurance premiums (a greatly expanded Health Savings Account concept). This is especially important for low-income workers, from whom the payroll tax takes 15 percent off the top of their earnings, and who benefit little if at all from an income-tax deduction. Removal of barriers to competition. This includes certificate-of-need laws, attempts to regulate direct primary care practices or health sharing organizations as if they were insurance companies, or regulations and payment policies that only large or already existing entities can meet (e.g. “economic credentialing”). ACA restrictions on physician-owned hospitals should be eliminated to spur competition and competitive pricing. Group plans available through associations, not just employers. Repeal of insurance mandates that require all to pay for costly coverage they do not need or want. Repeal of antitrust exemptions for the “business of insurance” (McCarran-Ferguson). Enforcement of antitrust law against hospital systems that are driving out competitors. Repeal of all laws and regulations such as the HMO Act that protect or favor managed-care over casualty insurance, including laws that require or enable the “enrollee hold harmless clause” in provider agreements. This clause protects fiscally unsound plans against bankruptcy, and enables them to ration care through “providers” they control in order to protect plans against accusations that the plan practices medicine. Fair trade and nondiscrimination. Insurance collusion with physicians/hospitals for a patient population is a restriction of trade and prevents any price negotiations. Reimbursement policy should not discriminate against independent facilities in favor of those owned or controlled by hospitals, insurers, or other favored customers. Streamlining regulatory procedures that unreasonably delay licensing of insurance plans or medical facilities. Streamlining licensure of physicians through reciprocity, and reject requirements such as costly, proprietary Maintenance of Certification, that reduce physician supply. Removal of barriers to self-funded plans. Their access to reinsurance needs to be protected. Guaranteed renewable insurance should be purchased when a person is young and healthy, and maintained continuously. Many responsible people have been unable to do this because of government policy, especially tying insurance to employment. Laws can be changed to prevent this problem in the future, but at the moment many people are stranded through no fault of their own. But regardless of fault, they are uninsurable. As demonstrated by the current escalation in prices, requiring coverage leads to a “death spiral” in voluntary insurance when low-risk people refuse to be overcharged to cover those at high risk. If people are exempted from the consequences of not buying insurance when healthy, moral hazard will ultimately destroy the concept of health insurance. There is now a large pool of people with pre-existing conditions, and a free market is likely to develop appropriate products. Most could be covered at a higher price. Previously existing state high-risk pools could be re-established, as Alaska recently did. As market reforms—and restoring insurance to its role of reimbursing people for catastrophic losses—result in drastic reductions in price, the burden will be much less. For people who need care but can’t afford it, charity is the moral answer. If taxpayers wish to fund a safety net, it is far more equitable to spread the costs over all taxpayers than to impose it on the sick or those who care for them, and far cheaper to pay for the care directly rather than to funnel the money through a middleman. Join a direct primary care or membership-model practice. Join a “Wedge of Health Freedom” practice (jointhewedge.com) or other independent practice that receives direct pay from patients and is free to negotiate terms without third-party interference. Increase medical coverage on your auto insurance. Check into critical illness coverage. Deposit the premiums you would have paid into a dedicated savings instrument. Ask for a cash price quote ahead of time—even if you have insurance, as you may be better off not using your insurance plan (and your pharmacist may be forbidden to tell you that). Look for a self-funded plan (or start one for your business). Many who are uninsured choose to live that way, using emergency rooms as their point of access when they have a real medical crisis. Requiring people to purchase health insurance, as ObamaCare does, is an economically inefficient way to address the problem of uncompensated care. (Many uninsured patients do pay for care, and insurers sometimes don’t.) The use of savings and credit to pay unanticipated bills is rational, prudent, and responsible. Medical bills can be reasonable, as many facilities are demonstrating. Outrageously high “Chargemaster” rates may result from hospital/insurer collusion that makes insurance look more necessary and valuable than it is, and allows some brokers to profit from “repricing” or arbitrage schemes. Medical care is traditionally an act of charity, and there was no “health care crisis” when a greater percentage of hospitals were true charities staffed with many volunteers, instead of the highly profitable but tax-exempt businesses that many are today. While no one is going to turn the clock back 100 years, and perhaps no one would want to, a partial restoration of the essential role played by charity in medical care would be immensely helpful. Under legislation submitted in New Jersey and other states, physicians could qualify for protection from vast malpractice liability if they provide a certain amount of charity care in qualified clinics. One charity clinic in New Jersey has been so successful that some patients are even referred to it by the Medicaid program. Charity care is far more efficient than care covered by health insurance, because there is less paperwork and no issues as to what will or will not be covered for reimbursement. Participating physicians, benefiting from some limited protection against malpractice claims, are freed from having to practice defensive medicine and can provide timely, sensible care that they might otherwise avoid doing due to a fear of an overzealous lawsuit. HHS could adopt a pilot program to provide greater protection from malpractice for physicians who generously donate significant amounts of their time to charity care in federally qualified charity clinics. This would alleviate the growing financial crisis in the Medicaid program while extending greater access to care for needy patients, and this innovation could help the Medicare program also. Both the federal government and states might explore the tax credit model used by Arizona for supporting charities and tuition for students attending private (including parochial) schools: a dollar-for-dollar state income tax reduction up to a certain limit. Georgia has enacted a similar program for donations to rural hospitals. We need “universal coverage.” No, we need optimal availability of actual medical care. We need a free market, not mandatory third-party payment. We need to “contain costs.” No, costs are far too high, mostly because of comprehensive third-party payment. They can and should be greatly reduced. “We” are all responsible for everybody else’s health care. No, we are responsible of caring for our own health and for paying for the necessities of life, including medical care when appropriate. Comprehensive third-party payment is the most expensive and least efficient way of doing that. Charity is demeaning; people have a right to help. No, charity is a blessing both to those who give and those who receive. Being dependent on government forced redistribution is both demeaning and debilitating. The federal government can “assure” healthcare for all. No, the government can only take. Each lead brick piled on to stabilize a tottering structure is taken from another, better use, and can at most only delay the day of reckoning. The legacy we want to preserve is the one of freedom, which brought us prosperity and wonderful advances in medicine. Piling on more lead to try to salvage the icon of socialism is suppressing a return to greatness in America. Oh my goodness, so much to think about in this article. What I like the most about it is are the solutions it recommends for entrenched problem, a failed health care system. This law was passed at midnight on Christmas eve without a single vote from the representatives of half this country. The radical socialist democrats own this 100% and the only proper course is total repeal and restoration of the market prior to its passage. IRS thugs hired by Oballah to enforce his Sharicare debacle and save over a $1 billion a year in salaries alone. Thousands of pages in the bill, tens of thousands in the regs of the hhs directors. A lot to digest. Better in chunks. Financial services, insurance and healthcare systems are running on business models in critical condition far too long. Obamacare must be replaced and repealed. Yesterday. Trump’s way is unconventional. Drastic it might have to be. What if @realDonaldTrump convene health insurance leaders to bring to market a cost-share, no deductible, earn reward points plan? Why cost share? It could bring premiums down and when people pay for health care, they take responsibility for living healthy. When they do, earning rewards are encouraging. It will be quicker to get approval from state insurance commissioners. Why duke it out with politicians? Set a deadline to transition to the new plan. Allow Obamacare beneficiaries to replace their coverage on their own and Obamacare will self-destruct without Congress. Brilliant! Thank you AAPS for laying this out so clearly. I wish you could hand deliver this to Preident elect Trump. Maybe you can? Traitor Trump will need this explained to him in Tweets. This is way too complicated. Trump has a near photographic memory. Watch Newt Gingrich’s series of lectures on “Understanding Trump” on Youtube. Why do you think Trump put Dr Price in charge of HHS? Price understands free market care. A lot of terrific thoughts here. Suggest that the Executive Summary be displayed in a bullet point action plan format. Something that could be more easily digested by political staff or others and would provide incentive to wade further into the detail. While the thoughts expressed in this White Paper might have been ignored by the Christmas Eve legislative meeting, they provide a very clear and fair approach healthcare. It is a monumental challenge to our system due to the massive bureaucracy the ACA has created and the number of hands in the “cookie jar”. Executive orders can effectively control some of the beneficiaries, like insurance companies, hospitals, pharma and attorneys. Maybe the public will realize the benefits and rally behind Trump’s actions. For all of the same reasons outlined in this article, Concierge Medicine is a way to provide cost -effective care with better outcomes at a lower overall spend than the current insurance-focused model. Patients, providers and their families all love it. Because of its focus on preventive care it requires slightly higher fees ( 100-150 per month ) and smaller panel sizes ( 900 to 600 ) than DPC practices. Because it provides another choice to patients who value prevention and a strong doctor-patient relationship and attracts students to careers in primary care and prevents burnout, it should also be strongly supported by the board of the AAFP and other influential leaders. .
Well, maybe. Patients still need other health insurance for specialists or subspecialists, hospitalization, outpatient surgery, medical tests, etc. If the insurance is to be low-cost, it carries a high deductible. OK for people who are relatively affluent to begin with, but out of reach for most. You don’t eve get beyond the first point before betraying utter imbecility. Maybe you don’t mind living in a world in which deceit, or people having their earnings plundered, is ignored or encouraged (you might want to watch the news in Chicago to see if that would be a suitable hometown for you), but intelligence and common sense would tell anyone that any benefit program would require new people paying in, so why should it fund anything which would promote lower birth rates? “‘We owe it to ourselves’ means we promised it to our descendants, some yet unborn. The financing system was unsustainable from the start, being dependent on continuous population growth or unlimited economic growth. The U.S. population is not replacing itself, a substantial part of the working-age population is claiming disability or simply not working, people are living much longer, and economic growth is stagnant at best.” As John Adams said, facts are stubborn things which can’t be ignored. AAPS doctors find that their prices are often about the same as the co-pays under ACA. With some additional training, docs can provide about 90 pct of all care needed. the rest needs another plan. Mark that care is one thing and that insurance is quite another. Both have their place. Really. My ACA plan has a $25 co-pay to see a primary care physician. Find an AAPS physician with that kind of a co-pay. My doc doesn’t rush me out of the door and I am still with the same medical practice I had for about 15 years before requiring ACA insurance in 2016. Absolutely the best write up I have seen thus far. It is the best of times, it is the worst of times. Getting this poor flightless vulture shoved off of the cliff will be a significant part of moving forward in every direction. A definite step towards “taking medicine back” more truly serving the ars medica and patients. The single benefit of oby care turned out to be it’s lightning jolt to everyone and rousing us to assert. Looking forward to moving more and more into the new paradigm in repertoire, care standards and evolved philosophy. That is flat-out not true–though I wish it were. The situation you describe would be bad enough, but I’m afraid you’re rather understating this nefarious kudzu. The reality that ACA is NOT synonymous with Obamacare–merely the chief aspect of it. Obamacare is also the death panels and other directives hidden in the Stimulus Bill passed even before ACA came to the floor, there is the Medicaid expansion, and MACRA (a more recent law passed off as an updating of Medicare, when its true purpose was to close off all possible exits from Obamacare.) And I have little doubt given the established MO of the Obama apparatchiks who drafted Obamacare’s provisions, somewhere in the telephone-directory-sized ACA are hidden some provisions having nothing to do with insurance or medical care, but which would trigger some unintended consequences with an unrelated law if they’re repealed. If Obamacare has performed any valuable service for our nation, it showed just how much the very way Congress conducts its business has become corrupted, its legislative process incorporating practices that would earn the wrath of the police bunco squad and a Bernard Madoff-length stretch in the state penitentiary, if they were done in any other area of life. But doesn’t removing the mandates, fees, fines, taxes, regs, etc. just allow ACA to be ignored by anyone wanting to ignore it? Let’s get on with the free market empowerment of patients, insurers, and providers and let those who want to have ACA do so until they can no longer afford or stand it! The world has done well without ACA for millenia, let’s get on with straightening out the mess that healthcare was BEFORE ACA. In 1970 US and major european countries spent about 5 pct of GDP on healthcare, since then Europe has doubled and US has tripled at a fairly steady rate. We should be able to reduce by a third fairly easily and then perhaps more. Take average hourly doctor pay than divide into annual US cost of healthcare, for example, $100/hour (multiply if you wish, $100 times 2000 hrs annually gives $200,000 annual revenue) into say $8000. That gives 80 hours of care!!! Do we see a doc 80 hours in a half a lifetime? Oversimplified, yes, but just how much can you add to that equation and get the annual $8000? If you dispute this, please show your work. if you see your doctor an hour a year, that leaves $7900 for extras, LOL. Concentrate on good healthcare and let ACA wither and die from lack of interest. Save the huge political capital used in forcing repeal when the replacement is unknown and largely untested. Google “Donations of Professional Services Virginia” for the tax-credit Virginia gives doctors, dentists, and lawyers who care for the indigent. Google also Senator Grassley’s work opposing “nonprofit-hospital profit” in Missouri! These are models of what might be done for the nation. Use the internet and the AAPS website to circulate ideas to the housestaff as they graduate: They should choose 2 independent hospitals and sign no restrictive covenant. AAPS can publish model contracts. A question: Why not offer tax-credits to anyone paying for another person’s care? H. E. Butler III M.D., F.A.C.S. Healthcare is about getting good care when you need it. Let’s do what we need to achieve that ASAP and leave the battle over ACA for later. Let the patients and markets decide what they want and how much they want to pay. Meanwhile doctors say they are wasting a third to a half of their time with work unrelated to care. Anyone that doesn’t want all of the mandated benefits required by the ACA (except maternity care for men and women who cannot bear children) is penny wise and pound foolish. Don’t want ambulance service? Really want to pay $1000+ for one ambulance ride? No substance abuse or mental-health care? You really think it couldn’t ever happen to you…think again…it could. Lifetime risk for mental illness (although not necessarily permanent) is about 30%. And on and on. All of those benefits are there for a reason: most people will probably need one or more them at one time; they just don’t know when. Since most ACA seem to have been added into Medicaid, just how interested are they interested staying there? An alternative should not be a hard sell. Since this article, Trump is president and his first executive order has been to authorize Dr Price, HHS head, and all other department heads to do all in their power to remove the mandates and fees, taxes, etc. from ACA. If no one has addressed that so far, how is the executive branch doing in this respect? Personally, I think that the free market solution in light of the votes of Congress is that once the mandate and fees are gone, the market can dispose of the rest, and a much lower political cost than having to repeal it. Imagine someone tells a friend with free market care he has ACA, and the friend says, I am using the free market and find it much better. I think that the anti-ACA argument dearly needs some price estimates for care and insurance starting with the amounts doctors, pharma, and hospitals are really paid, and how much physician and other time is is being wasted. Europe admits to spending about 2/3 as much as US as percentage of GDP on health care. Once we set our minds to it we should do better than that. Really, how will the free market help pay for lower price prescription drugs, surgical fees for a costly surgery, get you an organ transplant, pay for mental health care, hospitalization? Grow up in a family with only a skimpy major medical policy and no extra money. It’s great to see your dad lose the hearing in one of his ears because he couldn’t afford to see an ENT doc and have the surgery that could have saved his hearing. Or see your sister lose almost all her the sight in one eye due to amblyopia because no one ever saw an optometrist. It wasn’t discovered until she got to kindergarten and the school nurse discovered it during a routine vision screening. The next year my mom went back to work and got a job in a county-owned nursing home and excellent health insurance….too late for my dad or my sister. I also had a health condition greatly exacerbated due to lack of health insurance, although the damage wasn’t permanent. I was able to take care of it when I was an adult and had my own good health insurance. Let’s fix the problems in the ACA, not gut it. I thank God every day for my ACA policy. And WRT Medicare: my husband is on early Medicare because of disability. He has received excellent care at two hospitals and with both specialists and his family physician of 28 years. Never been rushed or pushed out the door. “…we are responsible of (sic) caring for our health and paying for the necessities of life including medical care when appropriate.” Me, me, me! Looking out for No. 1, (hopefully) our families, and our friends, if they are extremely fortunate. Tell that to the parents of a child with Down syndrome who chose not to abort and their son or daughter now needs cardiac and other surgery to stay alive. Or someone who developed Type 1 diabetes at 7 years old and whose parents didn’t give a rip about getting her proper medical care, or couldn’t get health insurance for her because of her pre-existing condition. Or someone whose schizophrenia became evident during his junior year of college after a psychotic break. These people along with middle-age and older Americans who develop serious health conditions after many years of weight control, exercise, healthy eating, and annual physicals — the ones who cared for their health — but couldn’t afford health insurance because they were self-employed, community rating became a thing of the past, or just didn’t make an upper-middle class or upper-class income — what are they supposed to do when they need expensive surgery or develop MS? That’s not the mark of a compassionate society. More charity care, donations to non-profit hospitals, and sliding-scale community health centers will help, but will never fill the gap. I shudder to think that most Americans are that selfish. Pingback: What If Sick People Lose Their ObamaCare?